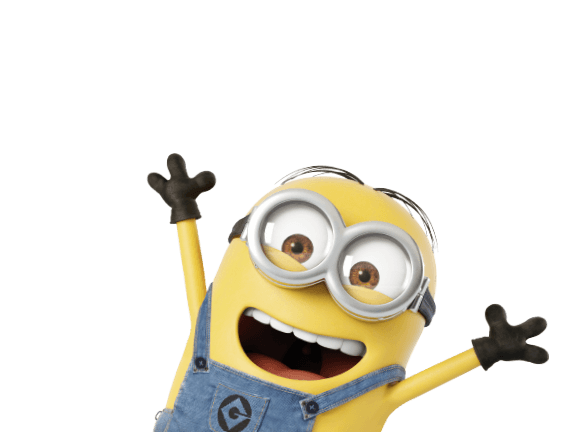 The Minions are back on our screens this summer in the new film, Despicable Me 3. 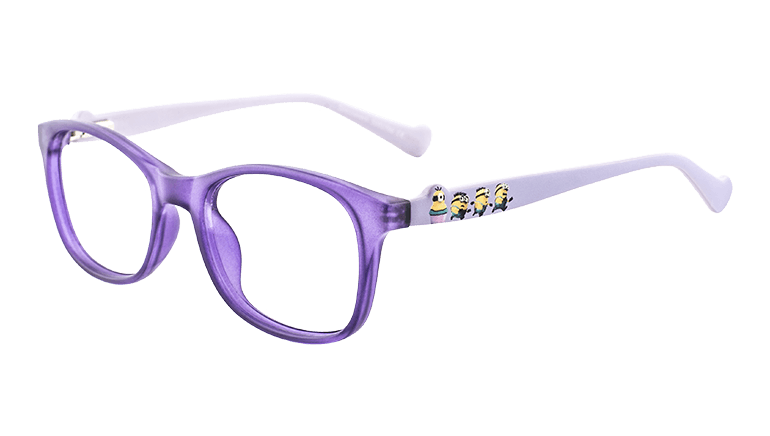 To celebrate their return, we’ve added 4 new frames to the Minions range, all featuring your favourite, mischievous Minions. 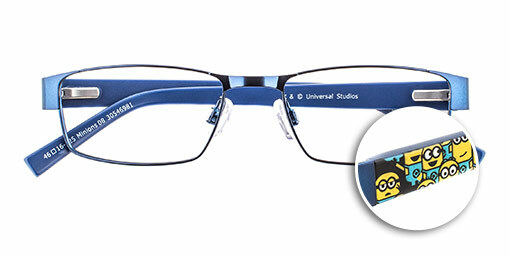 All Minions frames come with single-vision lenses including UV filter, and are part of our kids 2 free pairs offer. 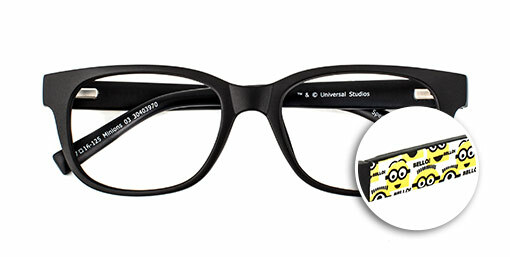 This bold, black plastic frame features an expressive crowd of Minions along the length of each side. 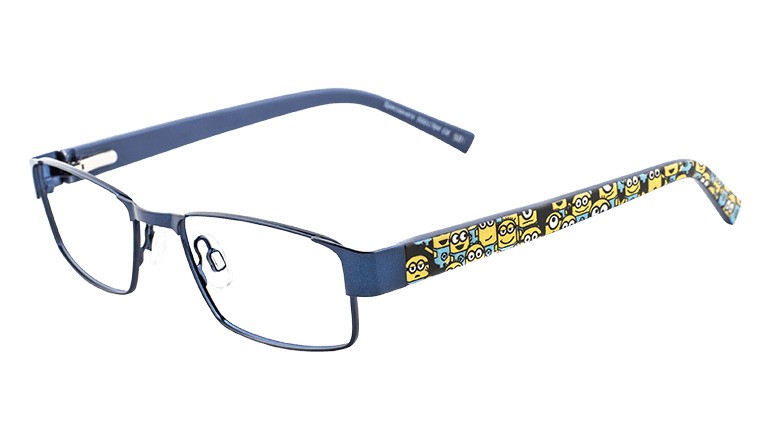 The eye-catching yellow and white design conveys the mischievous personality of these rebellious characters. SKU 30403970. 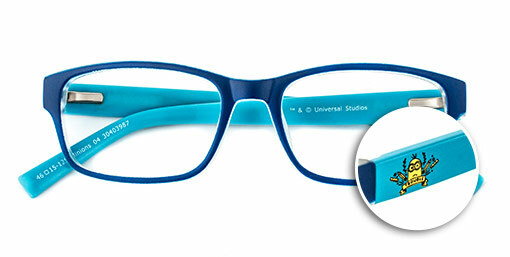 This frame features a cobalt-blue, plastic front and a lighter, crystalline interior. 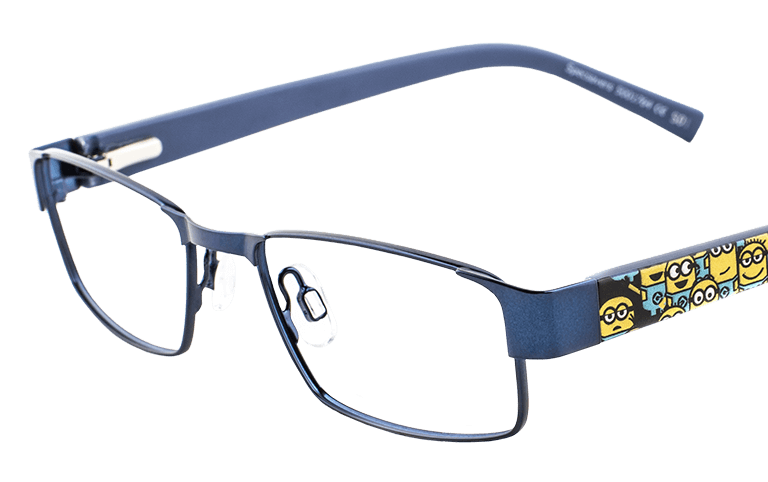 The sky-blue, plastic sides carry a design at the temple of a Minion caught causing mischief, surrounded by pencils and rulers. 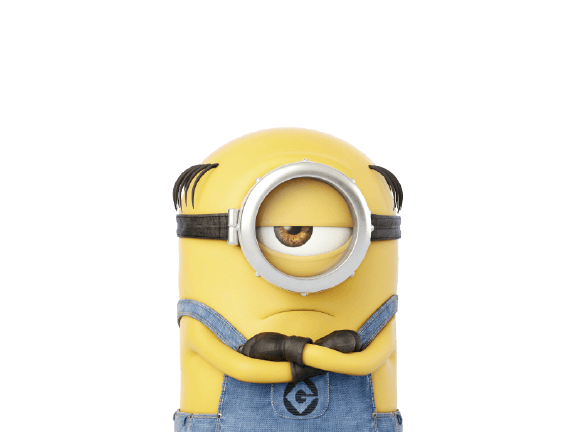 A Minion at school can only mean 'TROUBLE'. SKU 30403987. 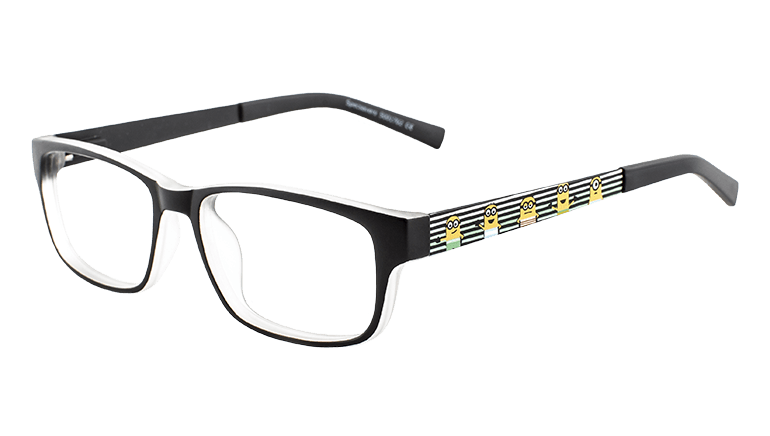 All your favourite Minions have lined up to say 'hello' on this black and crystal acetate frame with eye-catching, white, green and black striped metal sides. 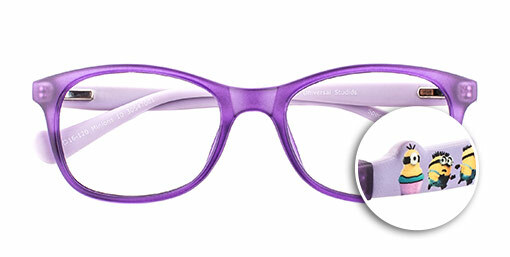 SKU 30546974. 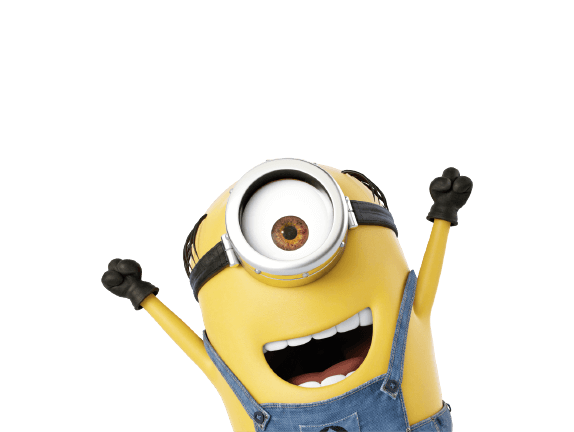 Minions in their millions (well almost)! 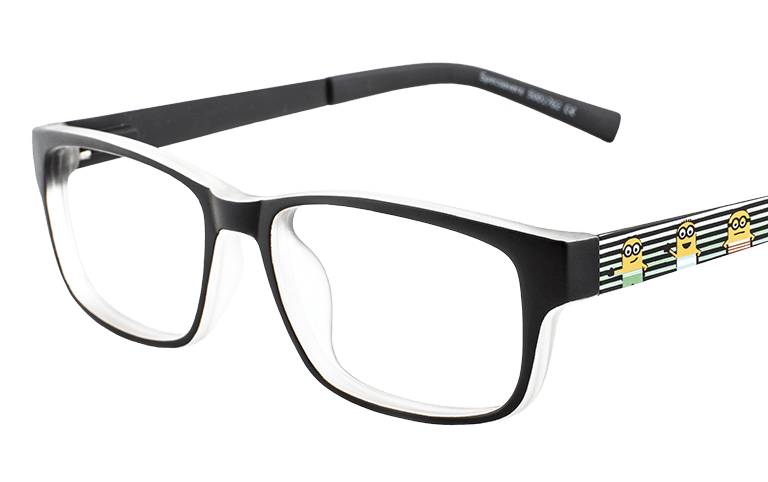 This slim, navy metal frame has all the gang on the navy acetate sides. 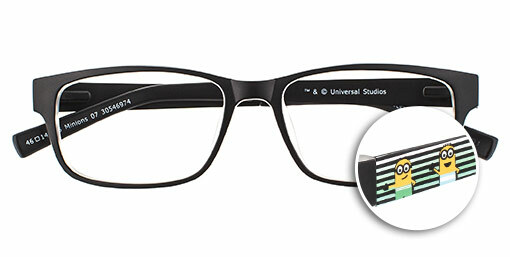 SKU 30546981. 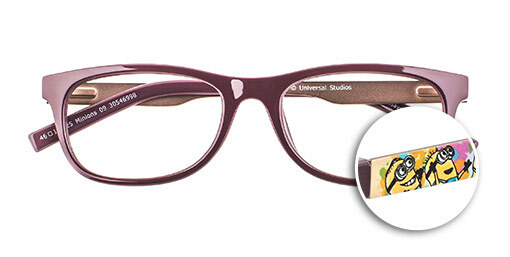 Giant ice cream, splashes of colour and your favourite Minions characters having fun all feature on the metal sides of this burgundy acetate fronted frame. SKU 30546998. 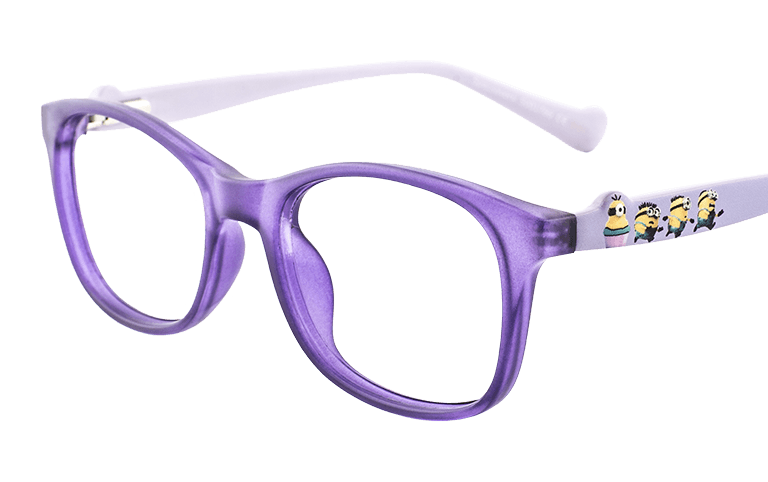 Mischievous Minions run across quirky-shaped, lilac temples, with a pretty, purple crystal front. SKU 30547001.